The complex consists of detached two storey villas each with their own private swimming pool. The top floor has one twin bedroom and one double bedroom, both with built in wardrobes and they share a complete bathroom. The ground floor consists of the third bedroom with twin beds and a complete bathroom.&nbsp; Also the living/dining area furnished with sofas, television with tdt, dvd and satellite with limited English channels.&nbsp; The kitchen is fully equipped with fridge/freezer, dishwasher, oven, electric hob and microwave and all the necessary kitchen utensils, crockery and cutlery. From the living/dining area there is access the furnished terrace where you will find the private swimming pool and the bar-b-q.&nbsp; Additionally each villa is surrounded by a small garden area. Situated on the west coast of the island Cala Blanca is one of the newest resorts and offers a variety of accommodation choices from large hotels to villas and apartments. 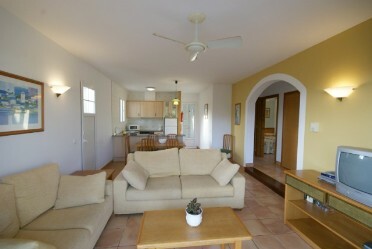 The resort is a popular choice with British holidaymakers with many families returning year after year. The resort offers many wining and dining options with a good selection of bars and restaurants offering local and international cuisine. The night life in the resort is mainly based around the bars and restaurants with some hotels offering family entertainment. 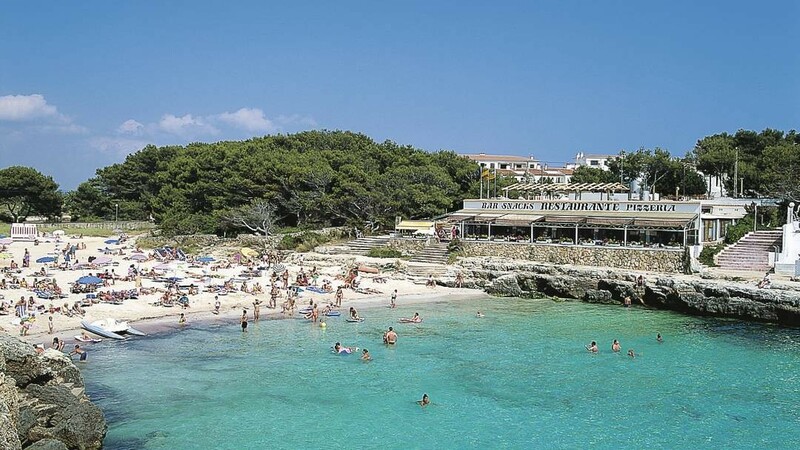 The beaches in Cala Blanca are great for families with children, with safe shallow waters ideal for swimming and paddling and the soft sand offers a great place to play. A selection of water sports is available here, with snorkelling being one of the most popular activities. 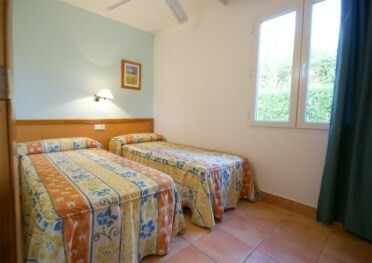 The resort of Cala Blanca is situated approx 48 km from the airport.